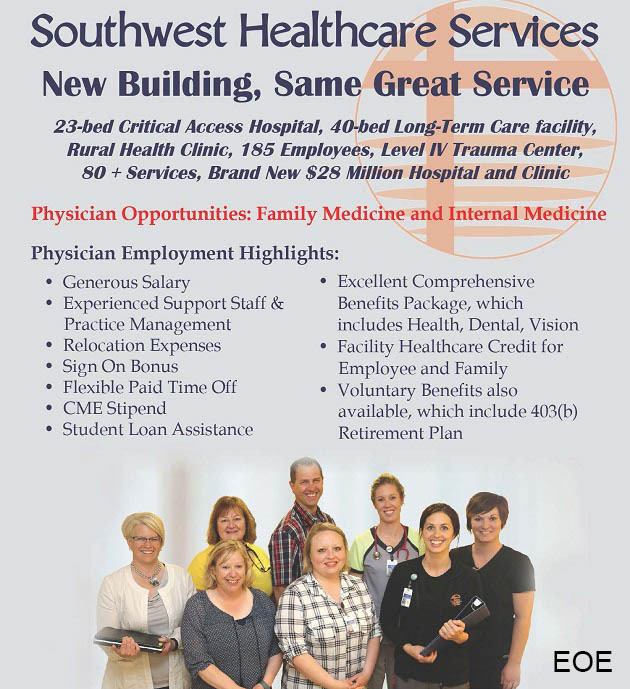 Thank you for your interest in the opportunities Southwest Healthcare Services has to offer Physicians. Should you wish to be considered for any of the current needs, please fill out the information request form located below. If you currently are in a practice that is not listed, but are interested in becoming one of the quality physicians at Southwest Healthcare Services, we welcome you to fill out the same form and we will contact you to discuss your interests. After filling out the information request below, please take a minute to browse the rest of this website for a quick look at Southwest Healthcare Services and the beautiful Bowman community. Please fill out the information request form shown below and you will be contacted promptly.